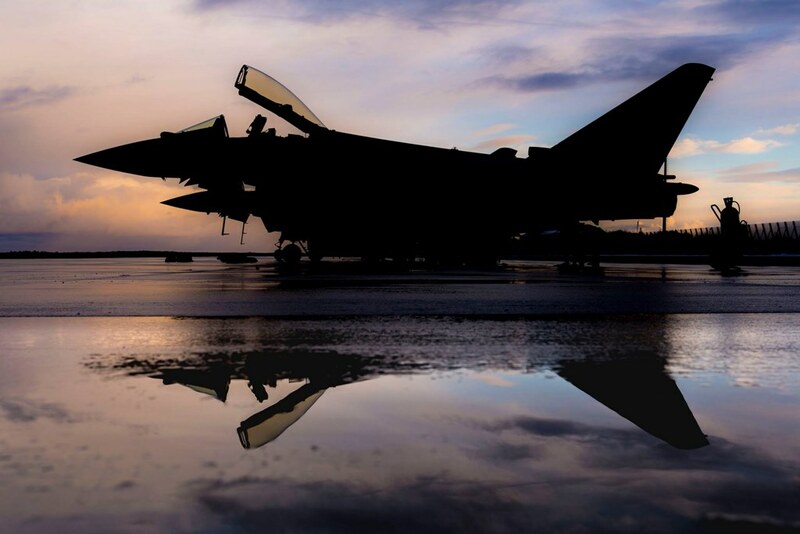 The Eurofighter jets to conduct day and night sorties and also “show of force” low passes. Typhoons fighter jets from 3(Fighter) Squadron have returned to Estonia as part of the ongoing Royal Air Force support to the British Army led NATO battlegroup deployed there. 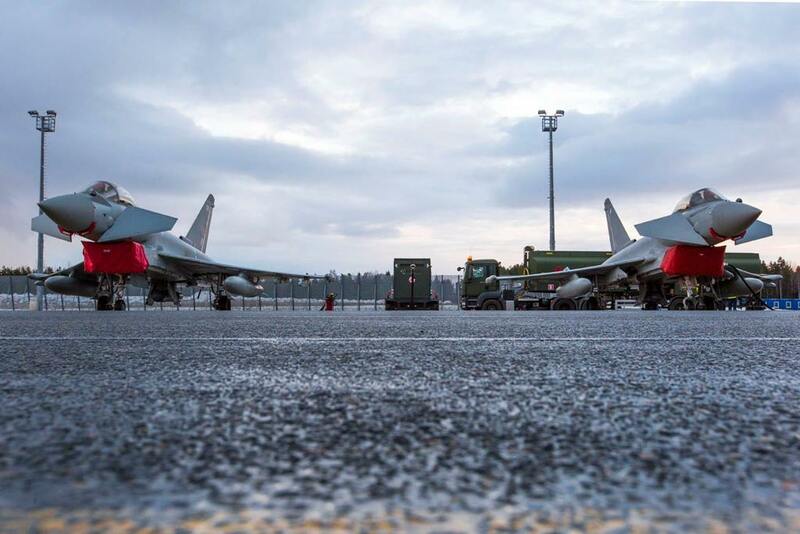 Operating in sub-zero temperatures the Typhoons have been based at Amari Airbase Estonia and have been conducting challenging air land Integration training exercises with the deployed ground controllers known as JTACs or Joint Terminal Attack Controllers. The first sorties flown were conducted at night over a training area in eastern Estonia before returning the next day to conduct daylight simulated air strikes and also “show of force” low passes. The British led NATO battlegroup the Typhoons trained with, is formed around the 1st Battalion the Royal Welsh and is the Estonian based element of the NATO Enhanced Forward Presence that was first announced at the NATO summit at Warsaw in 2016.